Vietnam is officially known as the Socialist Republic of Vietnam. The country is the easternmost situated on the Indochina Peninsula in Southeast Asia. The country is bordered by China, Laos, and Cambodia with Indonesia, Malaysia and the Philippines laying across the South China Sea.Vietnam accounts for 127,881 square miles (331,210 sq. km) of land area comparing to the approximate size of Germany. It features 2,140 miles (3,444 km) of coastline. It is a top 20 country representing a high range of bio-diversity and is home to 16% of the world’s species. 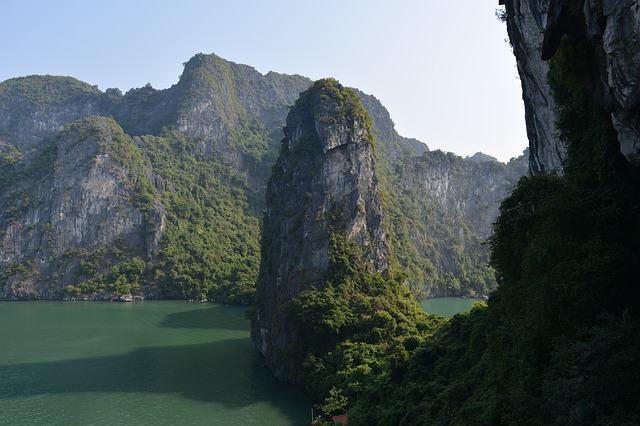 What are the 7 Wonders of Vietnam? 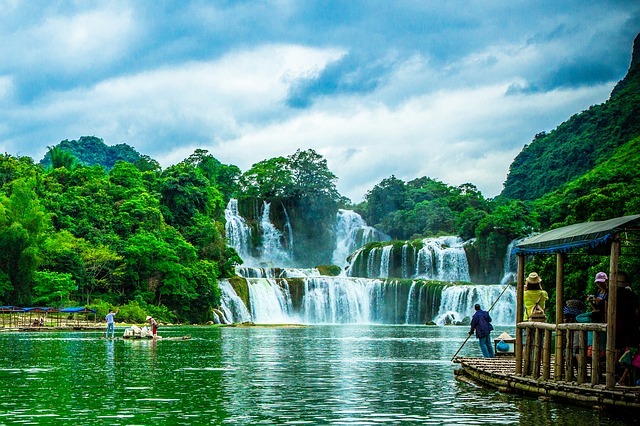 The Ban Gioc–Detian Falls is a shared wonder between China and Vietnam. The falls are located on the border of China and Vietnam. It is about 169 miles (272) north of Hanoi. The Quay Son River is the source of the waterfall. Ban Gioc drops 98 feet (30 m). It is divided into three falls by rocks, trees and cliffs. It is the largest border waterfall in Asia and the 4th largest border falls in the world. It is a valued attraction for the local people and a destination that travelers should add to their bucket lists. Fansipan is the tallest mountain in Vietnam reaching a height of 10,312 feet (3,143 m). It is also the tallest mountain of the Indochina countries of Laos and Cambodia. 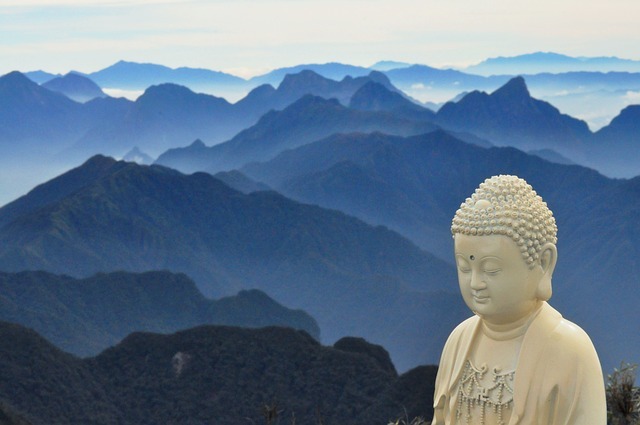 The mountain is located in the northwest region about 5.5 miles (9 km) southwest of the township of Sa Pa.
Fansipan is affectionately known as the “Roof of Indochina,” and is home to 2,024 floral species and 327 fauna species. A metal pyramid is located atop the mountain as a symbol of victory day for the Soviet Union over Nazi Germany. Ha Long Bay is located in the Quang Ninh Province in the northeastern part of the country. Ha Long Bay is famous for the thousands of limestone karsts and isles that extend throughout the bay. It is a UNESCO World Heritage Site. Ha Long Bay is known to have about 1,600 limestone monolithic islands that are all covered with jungle vegetation. It has served as inspiration and settings for literature, poetry, and movies and has the accolade of being considered one of the most beautiful bays in the world. Hang Son Doong, also called Son Doong Cave is the largest cave in Vietnam and the largest cave passage cross-section in the world. It is located near the border of Laos and Vietnam. The entire cave spans across 5.6 miles (9 im)., it features some of the tallest stalagmites in the world reach heights up to 229.6 feet (70 m). Hang Son Doong features a fast-flowing subterranean river. It is a mountain cave located near the village of Doong. The cave passage extends 1.36 x 109 cubic feet (38.4 x 106 cu m). The cave measures more than 3.1 miles (5 km) long, reaches heights of 660 feet (200 m), and 490 feet (150 m) wide making the largest cave passage in the world and almost twice as large as the second largest. Landmark 81 is the tallest structure in Vietnam and the 14th tallest building in the world. The building construction was completed April 10, 2018 and the building is located in Ho Chi Minh City. Landmark 81 reaches a height of 1,514 feet (461.5 m) and is an 81-story building. An observatory is located at 1,256 feet (382.7 m) with the roof topping out at 1,302 feet (396.9 m). The building accounts for 2,590,000 square feet (241,000 sq. m) of floor area.